There’s no doubt that Magellan intended to have a successful journey when his expedition set off from Spain on September 20, 1519. He had planned for the departure meticulously, hoping to prove that people could sail all the way around the world, and to be the first to do it. His ambition was spurred on by the adventures of previous explorers, such as Christopher Columbus and Vasco Nunez de Balboa, the man who marched across the Panamanian isthmus to the Pacific Ocean. There was little doubt in Magellan’s mind that it could be done. Five ships left Spain towards this goal, but only three made it to the Pacific Ocean. One of the ships was lost in an attempted mutiny when the expedition was sailing along South America; another deserted when they were sailing through what is now known as the Strait of Magellan, as it took them a month to reach the Pacific Ocean and they gave up hope of a successful end to their journey. The three remaining ships floated in the Pacific Ocean for about three straight months without being able to re-supply before they landed in Guam. The crew was near starvation, but with the giant ocean behind them, it looked like they were going to be successful in reaching the Spice Islands and, ultimately, complete their circumnavigation. They ended up traveling through the Philippines, which had already been charted, but it was here where Magellan met his end. He became wrapped up in a local war and was ultimately killed in battle on April 27, 1521. So if Magellan wasn’t the first human to circumnavigate the globe, who was? This is slightly up for debate. The honour may go to Magellan’s personal slave, Enrique of Malacca, though it isn’t quite clear whether he made the last 1000 or so miles necessary to actually officially complete the trip, or if he did, when he did it. He was an important member of the expedition’s crew. Antonio Pigafetta, scholar and one of the two crew members to keep a journal (and later publisher of First Voyage Around the World), wrote that the slave was one of the reasons Magellan was able to convince the King of Spain to finance the expedition. Among other things, the King was fascinated by Enrique’s skin colour and his ability to speak several different languages fluently. There is significant evidence that Enrique was from either Malacca (as stated in Magellan’s will) or from an island just a short distance away from Malacca, Sumatra. This is further backed up by the fact that Enrique acted as an interpreter for the crew around the area of Indonesia. If that’s the case, then Enrique came extremely close to completing his circumnavigation of the globe when he returned to the region after the jaunt around the globe, long before the rest of the European explorers were anywhere close to Spain. What isn’t known is if he actually managed to make it home, as he disappeared from the expedition; not because he died, but because he (seemingly rightfully) betrayed the crew. You see, according to Magellan’s will, upon Magellan’s death, Enrique was to be freed and given 10,000 maravedis (Spanish coins) from Magellan’s estate to support himself. After Magellan’s death on April 27, 1521, the captain of the Santiago, Juan Serrano (João Serrão), decided to ignore the will and told Enrique he would remain a slave. Most likely he made this decision simply because the expedition needed its interpreter and, as they were nearing Enrique’s original home, it may have been the case that he’d have liked to leave if given his freedom. Whatever the case, the price of keeping Enrique a slave would very shortly be Serrano’s life. Four days after Magellan’s death, while on the island of Cebu, Pigafetta speculates (or at least, he doesn’t say how he knew this) that Enrique, working as a translator, told the Chief of Subuth there, Rajah Humabon, that the Europeans were going to attempt to enslave him and his people, as they had done to Enrique. If it’s true, Enrique successfully got his revenge on Seranno who had denied him his freedom as stipulated in Magellan’s will. Whether Enrique really betrayed his captors or not, he was now a free man and apparently uninjured with no interest in returning to the ship, as he isn’t mentioned begging for them to come get him, as with Seranno. So historians think it likely he was on friendly terms with the natives, though this is where he disappears from history, so we can’t be sure. If he remained alive and on good terms with the natives, given that all that remained for him to return home was a month or two of island hopping- and he would have been well aware of this- many historians think it likely he may have returned home. If he did this fairly soon after his escape, he definitely would have beaten the Europeans home, as he was left on Cebu on May 1, 1521, about 15 months before the expedition would make it back to Spain. However, there isn’t any documented evidence for us to know what happened to him, so we can’t be sure. The better documented honourees seem to be the few remaining crew of the Victoria and its captain, Juan Sebastian Elcano. This ship was the only vessel from the expedition to return to Spain after their trip around the globe. 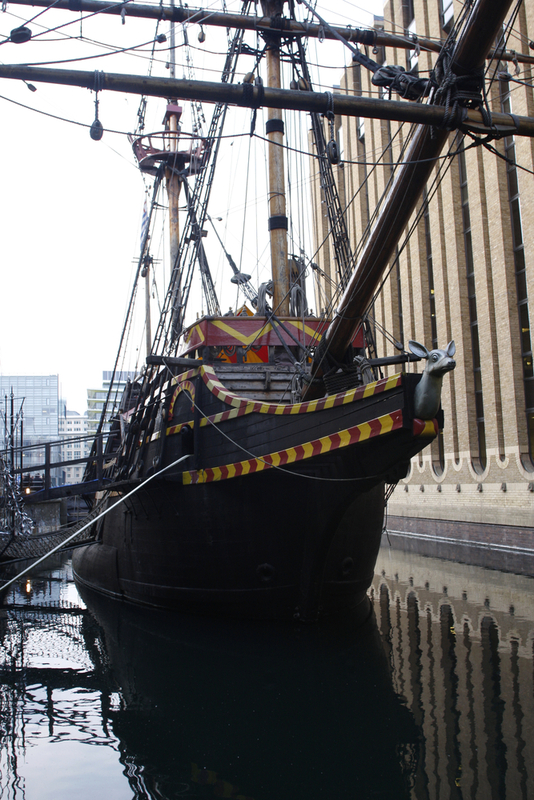 It landed on September 6, 1522 about three years after their initial departure, with just 18 men on board out of the initial 241 or so that set out on the journey. Though Magellan didn’t complete the journey and isn’t rightfully called “the first person to circumnavigate the globe,” he was the first person to plan a successful expedition. Before his death, he also contributed to the “Age of Discovery” by finding a way to the Pacific Ocean from the west. It was Magellan who named the Pacific Ocean. After experiencing some tumultuous weather on the Atlantic side of South America, sailing through the Strait of Magellan and into the Pacific Ocean was a sailor’s dream. He called it “Mar Pacifico”, or “peaceful sea,” and believed it would only be a short time before they arrived at the Spice Islands. Elcano was recognized by King Charles I as being the first man to circumnavigate the world. Although, as noted, Enrique may have beat him to the punch, and there were 17 other crew members who also completed the journey, including the Italian scholar Antonio Pigafetta, who technically by longitude at least would have finished the circumnavigation before they reached Spain. Further, as the Philippines had already been explored before they left on this particular expedition, it’s possible some of the remaining crew at one point or another had been there, meaning they technically would have made it around the globe before getting back to Spain as well. Although, in these latter cases, we’d have to include their travels before this expedition if that is the case. Elcano was given an annual pension and a coat of arms that featured a globe and read, in Latin, “you went around me first” (Primus circumdedisti me). Fifty years later, on the anniversary of the expedition, his male heirs were awarded the hereditary title Marques de Buglas. Elcano himself died of malnutrition in the Pacific Ocean on the Loaisa expedition in a second attempt to reach the Spice Islands. Initially, the Magellan expedition was planned to find an alternate route to the Spice Islands. Heading east instead of west would have saved them a lot of time, but the Pope had negotiated a treaty between Spain and Portugal that gave Portugal access to the eastern waters and Spain the western waters. Therefore, the expedition had to find a way to the Pacific Ocean. Because of the rivalry between Spain and Portugal, Magellan—a Portugese man—was considered a traitor to his country because he was working for Spain. It would be another 58 years before a second circumnavigation of the globe was completed by Englishman Sir Francis Drake. Like Magellan’s expedition, only one ship survived the ordeal. Elcano was not the crew’s first choice to lead the expedition after Magellan’s death. However, their first choices—Duarte Barbosa and Jao Serrao—died within four days of being voted into a position of leadership. Joao Lopez Carvalho later took over, but the men were unimpressed with his weak leadership. When his ship the Trinidad sprung a leak just before they left the Spice Islands, Carvalho stayed with the ship with the mindset to return later, and it was Elcano who was able to command the Victoria safely home. They circumnavigated Africa. Not the globe. Also, the globe is a model of the Earth. No, Santa Claus had done it before. Malacca is in Malaysia. It’s not from sumatera , Indonesia. @Malaysian: I’m not sure what you’re commenting on. I’m not seeing anywhere in the article where it says Malacca is a part of Sumatra. Am I missing it? Then I claim that the first one to circumnavigate the world was Jonah inside the belly of a whale. Jonah inside the whale is in The Bible, so it may not be real as he will die in about 2 days due to hypothermia. The credit should also be given to the guy who had the guts to do it, not just the person who planned it. THANK YOU. AT LAST AN REASONABLE COMMENT!! As the ships went westward in the circumnavigation the daily logs counted one less day than had actually elapsed in the 3+ years they were at sea. There was no International Date Line in the 16th century. Initially this was used as evidence the logs were not accurate, and the claim of circumnavigation was not accepted immediately. If you imagine a pen on a map on the location where Fernão Magalhães was born and you trace where he sailed(without lifting the pen from the map) you will see that at one time of his life he had to sail from the Molucas sea (see Serrão sailor) westward back to Portugal,with his last voyage again westwards to Cebu he completed the circumnavigation, albeit with many other west/east voyages in between. 8????????) It is known that The first person to circumnavigate the world was Juan Sebatián Elcano and 17 saylors on the ship Victoria. Elcano never got the recognition he deserved in part because he was not Spanish or Portuguese but Basque. Basque fishermen from Northern Spain had been sailing the Atlantic since before Columbus and may have gotten as far as the Grand Banks. In fact the Santa Maria was owned by the Basque Juan de la Cosa who served as its ship master (he also created the oldest known European map (1500) that shows the New World). Juan de la Cosa was not Basque: he was Castillian, from the town of Santoña, a place that is not, and was not then, in the basque country but in Castilla. Not by chance Santoñas’s province has been historically called, “el puerto de Castilla” (Castilla’s harbour). Nor are Basquse his name and surenames. Indeed, at that time, the Basques were integrated in the Castillian crown: the Basque chieftains had sworn allegiance to the Castilian kings in order free themselves fron the kings of Navarra centuries before. Wether you like it or not the expedition was Spanish, as were the funds, ships, and most of the men, including Elcano. You’re basing your claim on the idea that Enrique went west from Malacca, stopped in Spain, and the continued west to Malacca again. Magellan already did that. He went east to Malacca, back to Spain westward, and continued back to the Philippines. The problem is that everyone thinks Magellan didn’t do the full circumnavigation because they assume his start point was Spain and he traveled to Malacca from two different directions. But if you place his start point in Malacca from the mid point of one of his expeditions, you find that he eventually ends there going in one direction. Magellan was the first. Malacca is west of the Philippines, and there is no evidence that Magellan ever visited the Molucas, therefore he never completed the full circumnavigation, though he came close (about 2,000 kms). 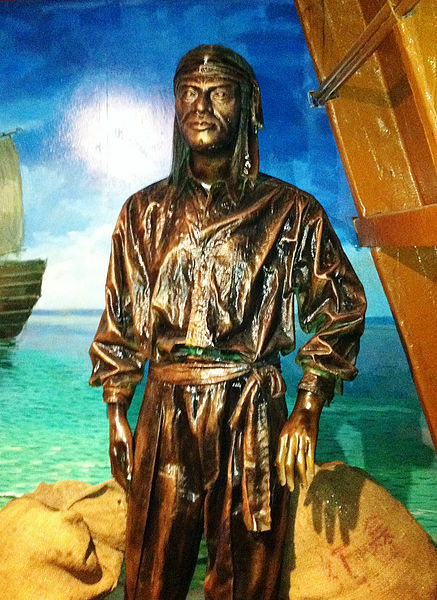 As for Enrique, it is unclear where he was from (some say Sumatra, others Malaysia, possibly the Philippines…), where Magellan purchased him (Malacca or Sumatra) and what happened to him after he fled the Spanish expedition. So it is highly speculative to say whether he ever circumnavigated the world or not. The first fully documented and undisputed circumnavigation is that of Elcano and the other 17 survivors. Therefore the credit should go to them unless new evidence proves otherwise. nobody has circumnavigated the globe… the earth is flat! Ferdinand Magellan died in The Philippines in April 27, 1521. He was killed by Lapu-Lapu in the battle of Mactan. I am a Filipino and I know the fact that Magellan wasn’t the frst person to circumnavigate the world. Also, he does not want to circumnavigate the world. He wants to find the Spice Islands, a place with many spices. You’re right. I suppose the circumnavigation was something that just inadvertently happened. No doubt, Magellan expected that he would return by the route he used to get to the Spice Islands. Juan Sebastián Elcano was the first man going around the world. More info: Wikipedia. The Chinese might have done it about a century before Magellan. Softly, softly; they’ll probably claim the seven seas as their own. Also, there might have been a global maritime civilization eons ago.